Looking for a little something extra-stylish this 4th of July? 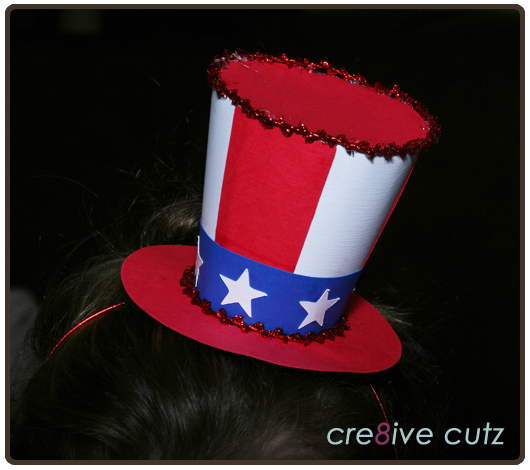 How about this Patriotic Party Hat, brand new in the 99 Cent Store. The hat does double duty as a favor box as well! 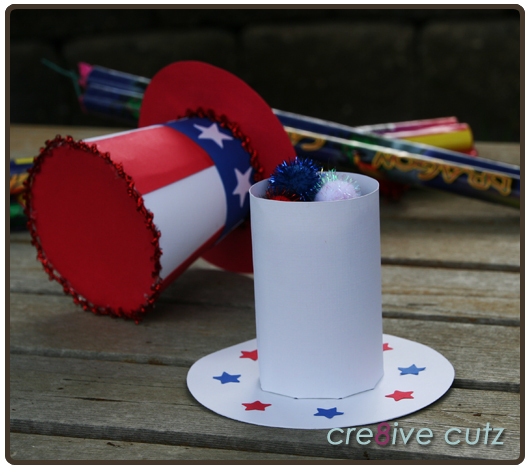 Just add some goodies, slide the Party Hat over top and you've got a great July 4th party gift for friends and family. They'll be the hit of the party! SVG, MTC and vector PDF files are included in the download, as well as illustrated assembly instructions. 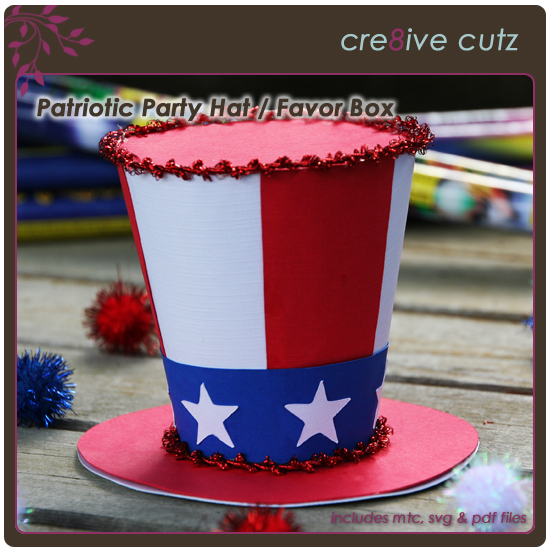 Click any of the photos below to check out Patriotic Party Hat in the 99 Cent Store. 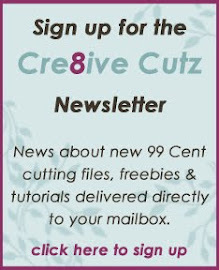 $3.99 Gift Giving Bundle - One Week Only!